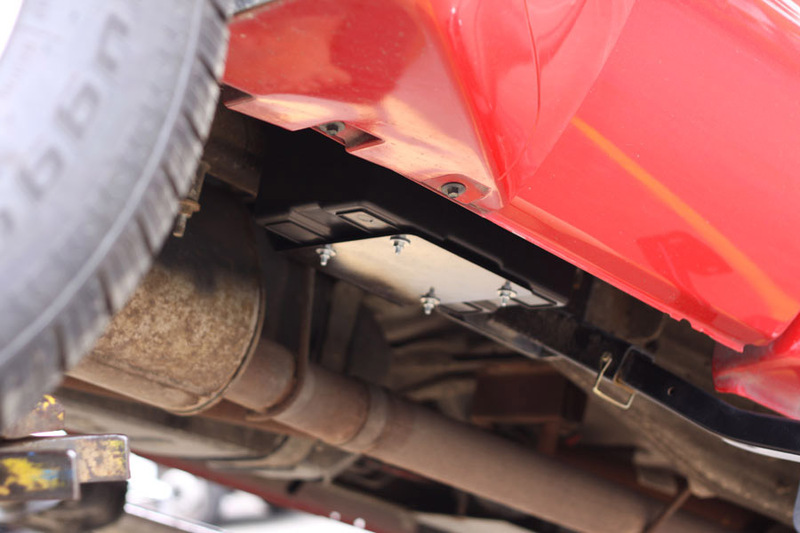 The Torklift International HiddenPower is a specially designed and convenient auxiliary under vehicle battery mount for all types of Group 24, 27 and 31 12-volt batteries such as lead acid, AGM, sealed, gel cell etc. 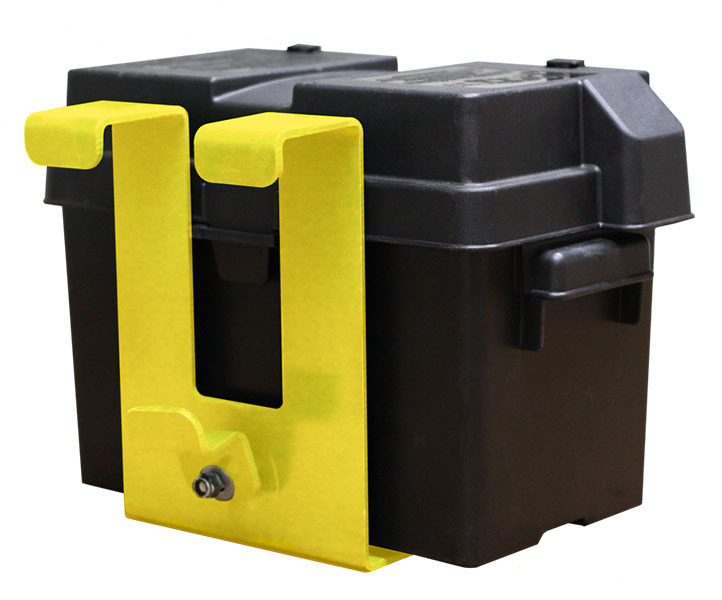 This secure RV battery box is engineered as no-drill installations with quick disconnect electrical connectors, the system quickly attaches to the truck's frame under your truck. 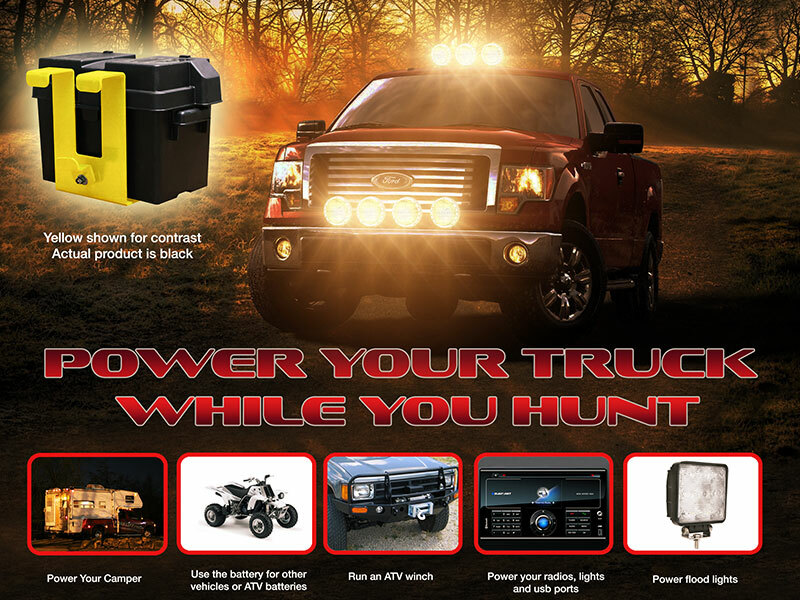 The HiddenPower provides RV battery security. It also allows you to have extra battery power in your RV, significantly extending the time you can run on your 12-volt systems by adding an extra battery that is tied into your truck's electrical charging system, which keeps the battery charged, healthy and always ready for RVing with little to no maintenance. 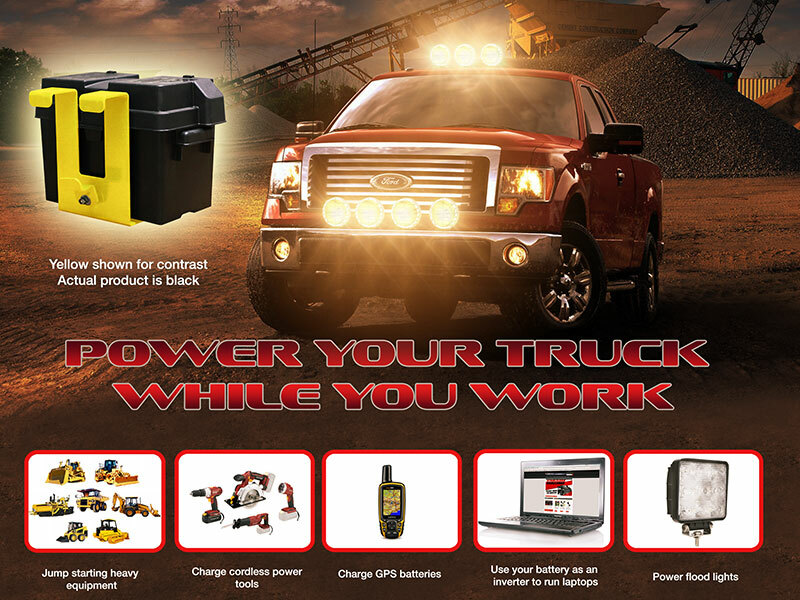 The HiddenPower auxiliary battery is designed to be an extension of your RV's battery when your RV is plugged into your truck and will recharge via your RV's existing solar panels, generator, converter, etc. 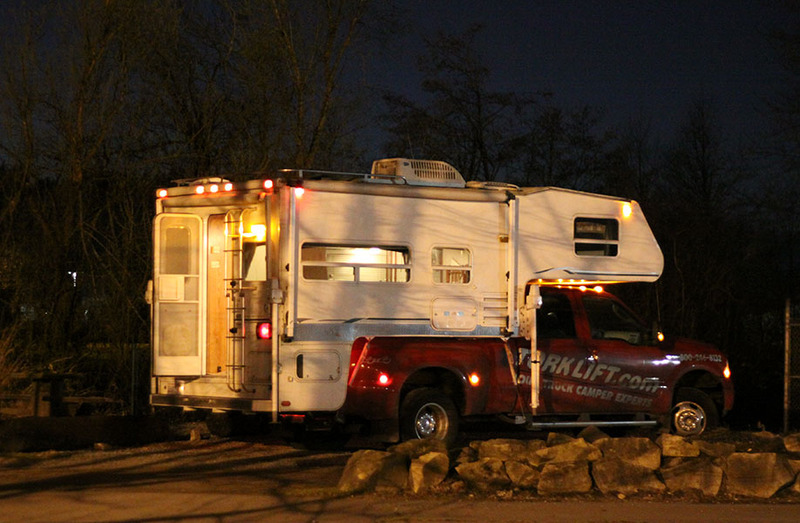 at the same rate that your RV's batteries charge. 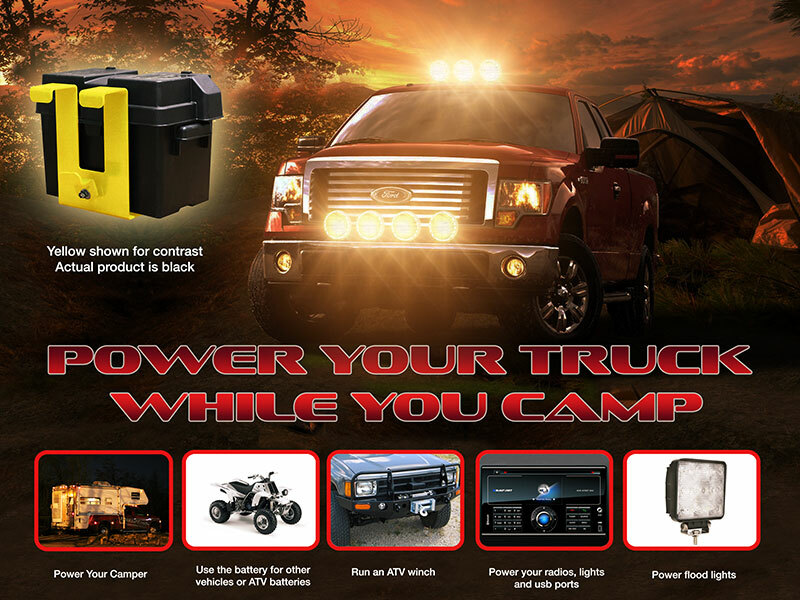 The HiddenPower auxiliary battery is designed to also maintain its charge while RVing by becoming an extension of your RV's battery when your RV is plugged into your truck and will recharge via your RV's existing solar panels, generator, converter etc. at the same rate that your RV's batteries charge. 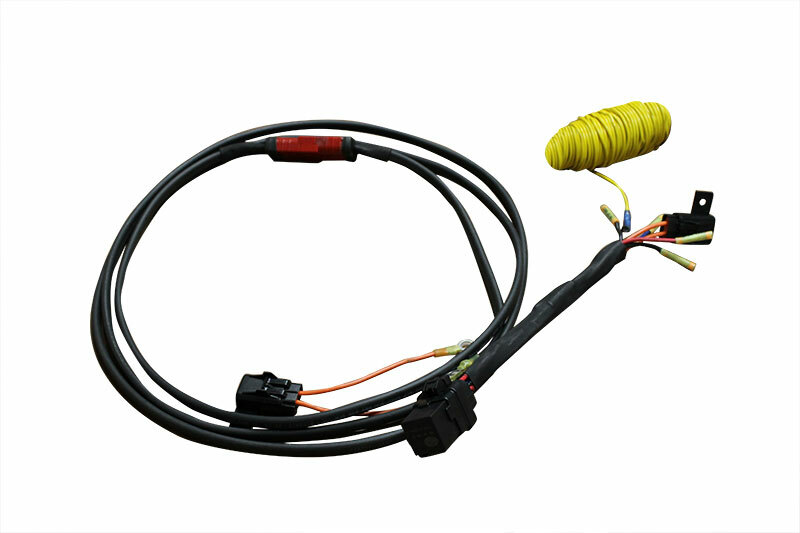 The HiddenPower allows you to camp using battery power without draining your vehicle’s battery when coupled with the HiddenPower Wire Harness (sold separately). 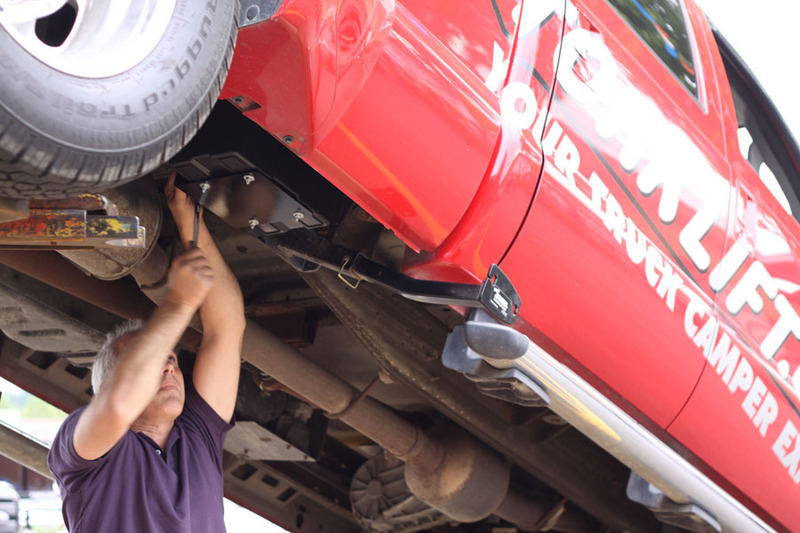 The HiddenPower under vehicle auxiliary mount comes with Torklift International's Legendary Lifetime Warranty† and is proudly made in the USA. Avoid wasting fuel and leaving your truck engine running while using electrical accessories such as lights, stereos, computer, etc. Designed for all types of batteries: lead acid, AGM, sealed, gel cell, etc.